Professor Anthony Pym will give two lectures next month. This entry was posted in Faculty and tagged Anthony Pym, faculty, MIIS, T&I on August 28, 2014 by Ruth Castillo. MIIS professor, Anthony Pym attended the symposium on the translator profile for the European Commission on September 29th, where representatives of industry and academia met to discuss the changing nature of what is required of translators in the marketplace. Pym co-chaired a panel discussion on “The Perspective for the Translation Profession”, alongside Kim Harris of the Globalization and Localization Association (GALA). This entry was posted in Uncategorized and tagged Anthony Pym, conference, faculty, T&I on December 12, 2011 by Jeffrey Fowler. In September, MIIS Professor Anthony Pym interviewed MIIS Professor Zinan Ye, who teaches Chinese translation and Chinese site translation. The interview discusses Zinan Ye’s popular column in the Chinese Translation Journal in China, as well as his books: The Theory and Practice of English-Chinese Translation (published in Taiwan and Beijing), A Dialogue on English-Chinese Translation (published by Beijing University), and Introduction to Chinese-English Translation (published in New York and to be published in Taiwan — coauthored with Lynette Xiaojing Shi). The interview also discusses how Professor Ye got from being a freelance translator in China without formal training to where he is today at MIIS. 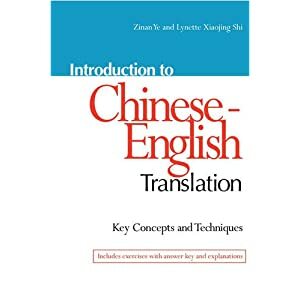 In the latter part of the interview, Ye discusses the current situation of translator training in China, as well as the recent increase of Masters in Translation and Interpretation Programs in China, and he also gives his views on translation studies and translation research in China and his opinion on the Eurocentricity of the translation field. This entry was posted in Translation and tagged Anthony Pym, Chinese translation, English-Chinese translation, interview, MIIS, Monterey Institute, Translation, Zinan Ye on November 8, 2010 by Tamara Wik. Be sure to look at Anthony Pym’s interview with Professor Kayoko Takeda, where she discusses her role at MIIS as a professor in the Translation and Interpretation program, her current research interests, and how she got to where she is today. 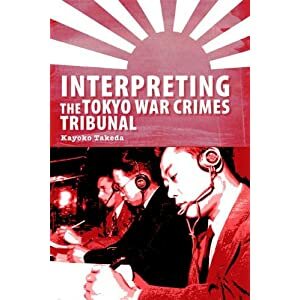 She also discusses her new book, Interpreting the Tokyo War Crimes Tribunal, which looks at the 3-tiered interpreting arrangement at the Tokyo War Crimes trial and included Japanese diplomats, Japanese-Americans, and U.S. military officials as interpreters. Lastly, Professor Kayoko Takeda gives a brief look at what’s happening in Japan today with translation, and gives a few words about translation research topics she’s still curious about. This entry was posted in Interpretation, Translation, Translation and Localization Management and tagged Anthony Pym, interview, kayoko takeda, MIIS, T&I, TLM, translation and interpretation, video on November 1, 2010 by Tamara Wik.